I had so many people comment about my Sweet Potato Shepherd’s Pie recipe after it was in yesterday’s Topeka Capital-Journal I decided to post it here. Trust me. It tastes as good as it looks! The recipe comes from one I first received from an Irish pub in New England, and it works equally well with either ground beef or lamb. I hope your St. Patrick’s Day is one filled with fun and joy, plus a little bit of blarney. 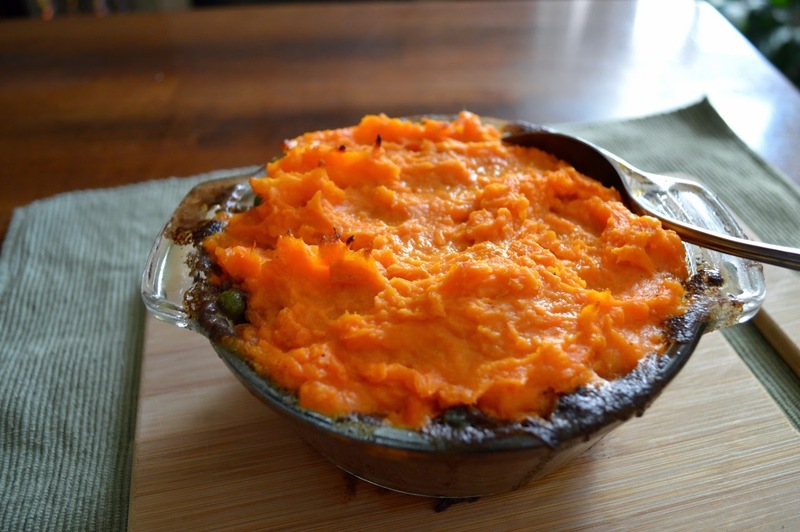 I also hope this Sweet Potato Shepherd’s Pie is on the dinner menu. In a saute pan over medium heat, melt butter, add onions, and cook until soft. Add in ground beef or lamb and spices, and then saute until cooked through. Add the peas. Add the flour and cook for 1 minute, and then pour in the broth and whiskey. Bring to a simmer and cook until the desired thickness is reached. Preheat the oven to 350 degrees F. Spoon the meat mixture into a casserole dish or individual serving dishes. Cover the top with the mashed sweet potatoes. Place the dish onto a rimmed baking sheet to catch any drips, and bake until the sweet potatoes start to brown on top, 20 to 30 minutes. Cover the cubed sweet potatoes with water in a large sauce pan, and bring to a boil. Continue to boil until cooked through. Strain potatoes and return them to the pan. Add the butter and half and half, and mash with a potato masher, being careful not to over mix. Add salt and pepper to taste. 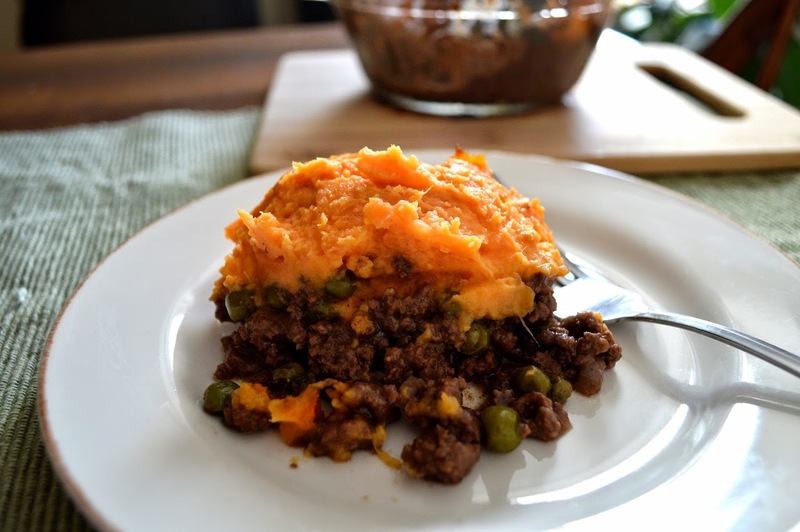 What an interesting concept, Sweet Potato Shepherd's Pie! Why didn't I ever think to make it, I wonder. Now that I see it, and it does look delcious, it makes so much sense. What a nice spin on a traditional Shepherd's Pie. I can definitely understand why you had such a response. I'll be pinning it for sure! Thanks so much for sharing, Linda...Have a wonderful St. Patrick's Day!